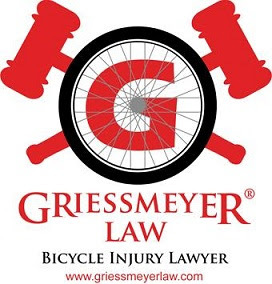 MADISON BIKE BLOG: Do You Need Liability Insurance in Wisconsin for a Motor Bicycle? Do You Need Liability Insurance in Wisconsin for a Motor Bicycle? Wis. Stat. 344.62 says that Motor vehicle liability insurance is required to "operate a motor vehicle upon a highway in this state......"
Wis. Stat. 344.01 b defines motor vehicle as "a self-propelled vehicle......."
(b) 2 wheeled vehicle that has fully operative pedals for propulsion by human power and an electric motor of less than 750 watts and capable when powered solely by the motor of a max speed of less than 20 mph....."
It appears that liability insurance would depend on whether or not the motor bicycle was self propelled like a moped. For example, if the bicycle is just electric assist and cannot do anything without pedaling, then it would not be considered a motor vehicle.